Each box is a small streaming media player that’s packed with huge entertainment. It’ll open up a whole universe of movies, TV shows, web surfing, sports, music, photos, and much more right on your TV screen. 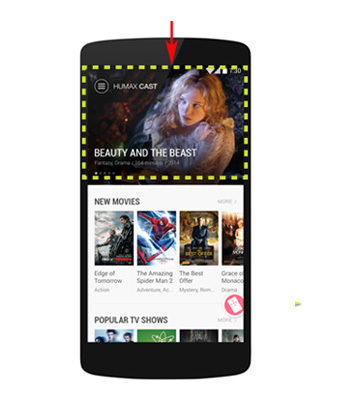 TV Apps gives you a world of fun and entertainment. Plug any storage device into the USB 2.0 port. Play your content directly from a flash or external hard drive. Play your contents directly from your tablet, Set-top Box, laptop, or other devices on your TV on the same network. 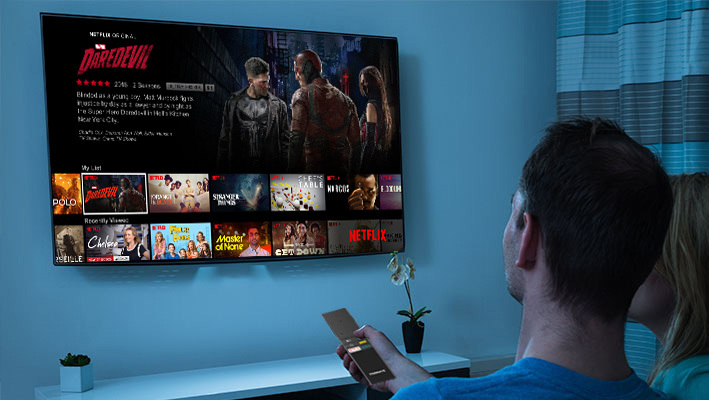 Display the screen of your mobile device on your TV screen, meaning that you can enjoy videos, photos, music on a big screen without image or color distortion. SAT>IP - Tap into satellite TV programs. SAT>IP application gets you connected to an array of live IP streaming channels via the SAT>IP server. Do away with the hassles of installing a separate tuner. 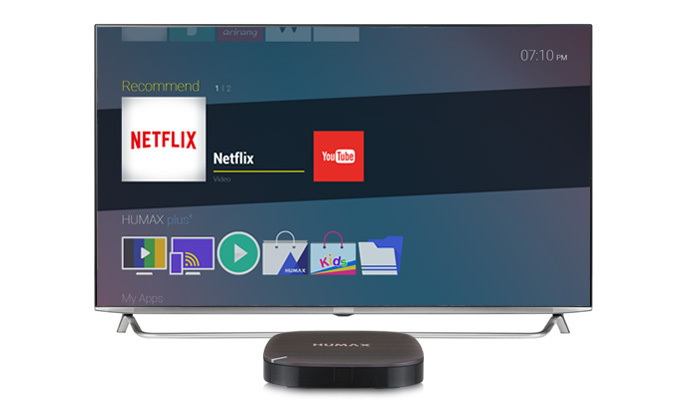 With HUMAX Set-Top Box which supports live streaming, you can stream live TV programs to all the devices in your home, like your mobile, tablet, and HUMAX streaming media player. 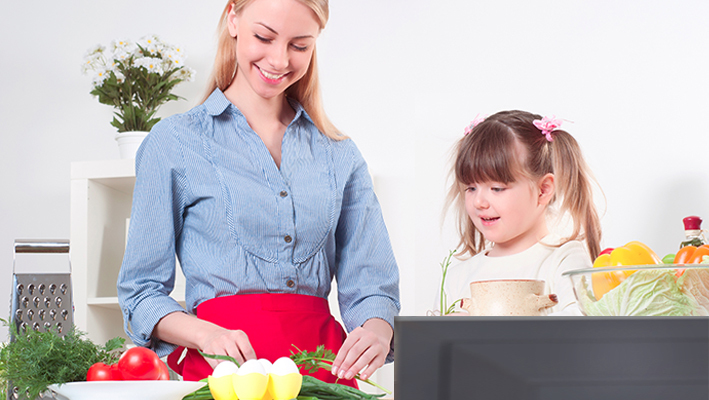 Live TV application gives you access to live TV channels. There’s no need to switch input sources just to watch live TV broadcasts. 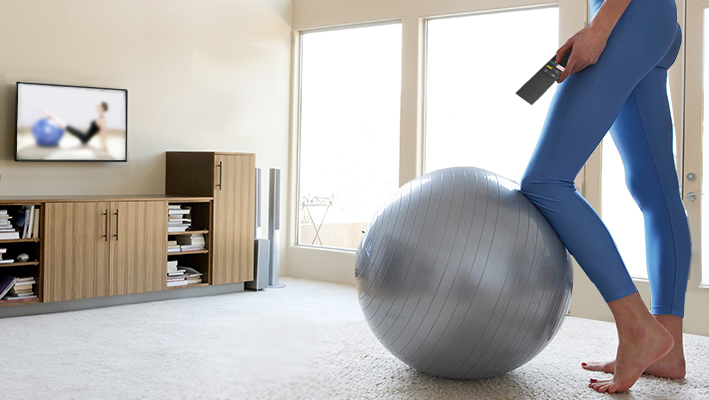 With H5, you can access them through the physical TV tuner on the back. * Tuner is available only on H5. Movies, Shopping, Recent, Recommended, HUMAX Plus+, All Apps, App Stores, and settings. The layout is simple and easy on the eyes, each menu showcasing its own content. Recent: Lets you see the most recently used apps. 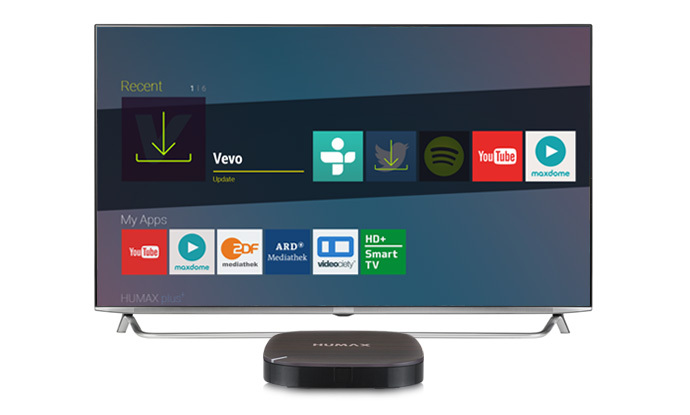 HUMAX Plus+: Shows you all the menu features specific to H1 and H3. 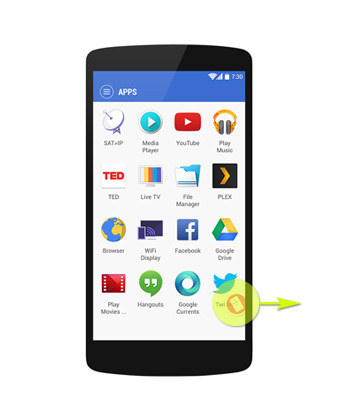 All Apps: Gives you all the apps HUMAX offers. App Stores: Allows you to add more apps using the menu. Settings: Makes it easy for you to control all the settings, including network, display, and language, among others. 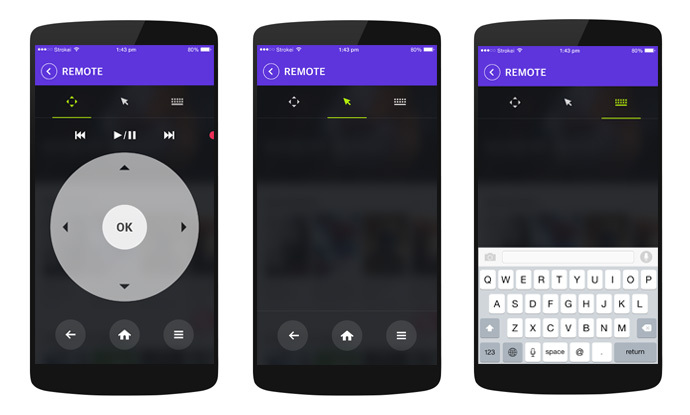 Take control with our very own mobile remote app on your iPhone (iOS7 or later) or Android phone. Just download the app from Google Play Store or iOS App Store. 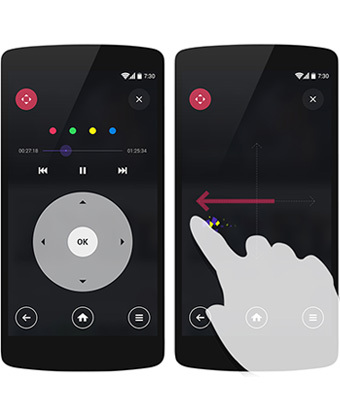 Control your HUMAX streaming media player effortlessly from your mobile. 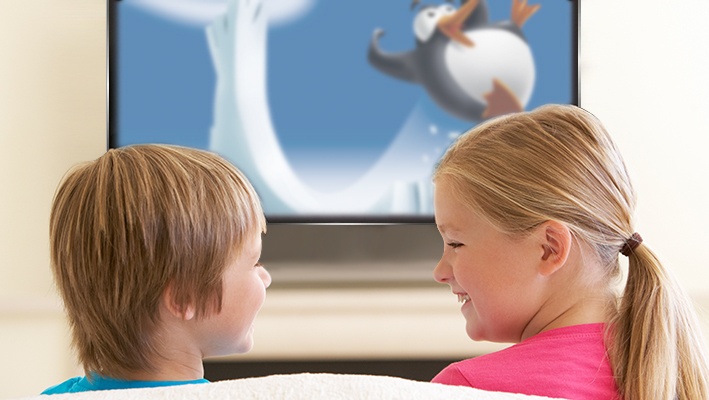 Start watching the latest blockbuster or program on your TV with just a simple click. Control all the apps from your mobile. Take a look at what’s being showcased. 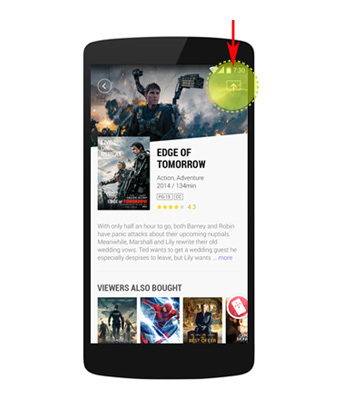 One click streams the movie to your TV. It’s easy for operators to modify the Apps menu. New apps for the Apps menu can be added through their server. To upgrade any app, operators simply upload the new app to their server. Users will be automatically alerted to the new app (see icons on the right). Humax will set up this system in the operator’s server. Software is upgraded in a similar way. When operators upload new software to their server, the user’s HUMAX streaming media player displays a new icon in the Settings menu (see icons on the right).